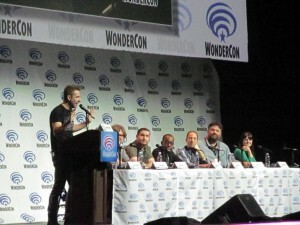 Last week, I spent a day at WonderCon, which was my first time ever at a comics convention and I was largely there to get a sense of what goes on at these sorts of events. On my way in, it was entertaining to see some of the people dressed up in costumes (also known as “cosplay” (a contraction of “costume play”)), my favorite of which was a guy who resembled Hugh Jackman, but instead of metallic claws on the back of his hands, he had carrots, along with bunny ears atop his head – it was a very appropriate springtime costume! I then made my way to get my ticket and the line moved impressively swiftly(!) and I made my way to someone doing check-ins with her daughter, who were very friendly, and scanned my barcode I had received via email. I was very impressed with how smoothly it went and friendly people were at the outset. After receiving the program guide and badge, we emerged into the exhibitors hall. After briefly wading through some of the exhibitor booths, I made my way to a session. Of course, the conferences and conventions I normally attend don’t have much in the way of exhibitor booths, so I usually attend the sessions and, occasionally, schmooze in the hallways. However, this being my first comics convention, I knew nobody here, so schmoozing was out of the picture. There were a couple of sessions that caught my attention, with the rest of my time devoted to walking the exhbitors booths. The first session, “Cognition of Comics” was delivered by Professor Neil Cohn, a lecturer at UCSD. It was actually part of a conference within the convention! It was an academic conference about comics that was taking place at WonderCon, so I got to get a little bit of academic flavor to kick off my WonderCon experience! 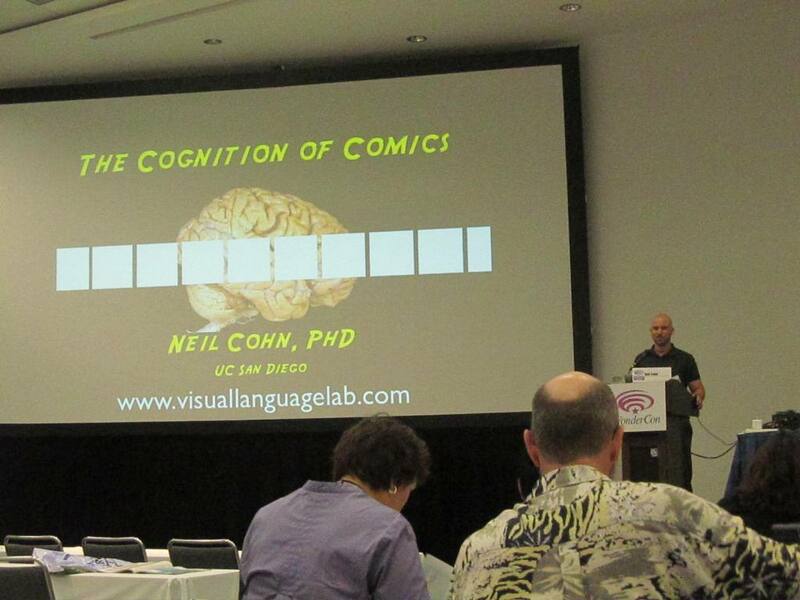 Although I was hoping the session would be about how we read and understand comics, Dr. Cohn spoke about his research, of course, which was about considering comics as a visual language is really not that much different than how we understand other written language. I enjoyed the first quarter of it really well, then he got more into the syntactical elements, which was still interesting, then the latter half of the presentation was about the more technical aspects of measuring reaction times to his studies, which was not my interest, but perfectly appropriate for an academic conference. 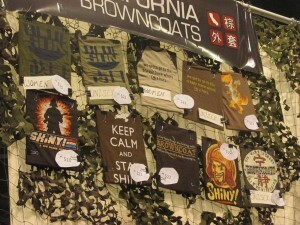 For the following couple of hours, I then explored the exhibitors booths. There were a lot of vendors selling merchandise, which was interesting, as well as a number of fan groups, including several Star Wars groups. But I ended being quite enchanted by the dozens of artists selling their wares, which were very entertaining and amusing, not to mention bringing a lot of unique flavor to the event. Frankly, I should have interacted more with the artists, etc., but I felt in somewhat of a time crunch later in the afternoon, since I had to get home, but I felt that I was able to get my feet wet at my first comics convention and was glad that I went. 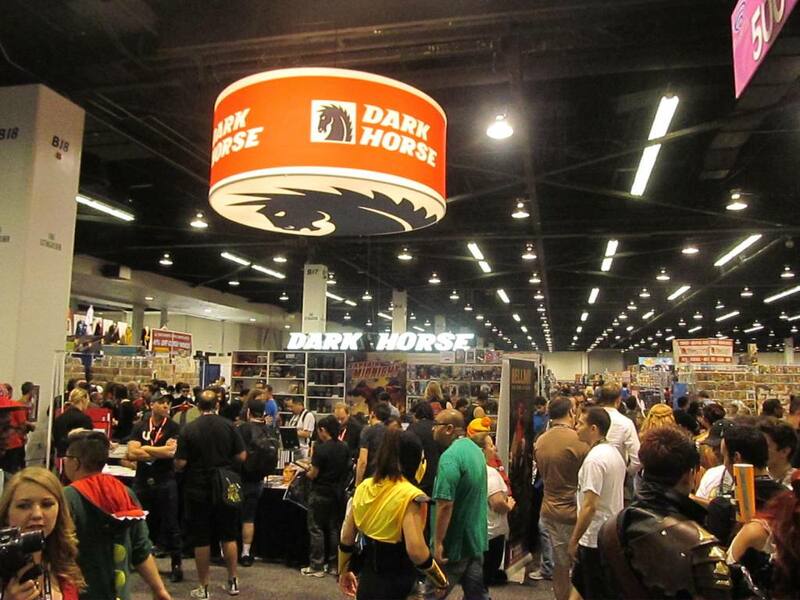 This entry was posted in Events, Orange County and tagged Comics Convention, Orange County, Southern California, WonderCon. Bookmark the permalink.